Just to let you know: I hit your link to the forum but it no longer exists. 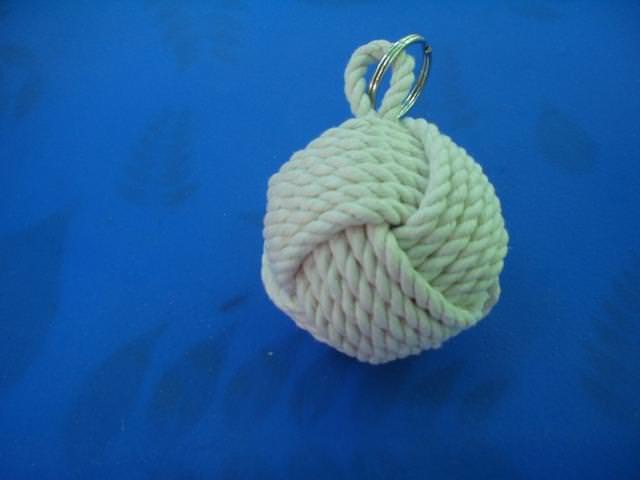 What a great idea, never thought of using a monkey fist in this way. The only time I have ever seen a monkey faced used was to get antenna wire up into a tree, worked well. 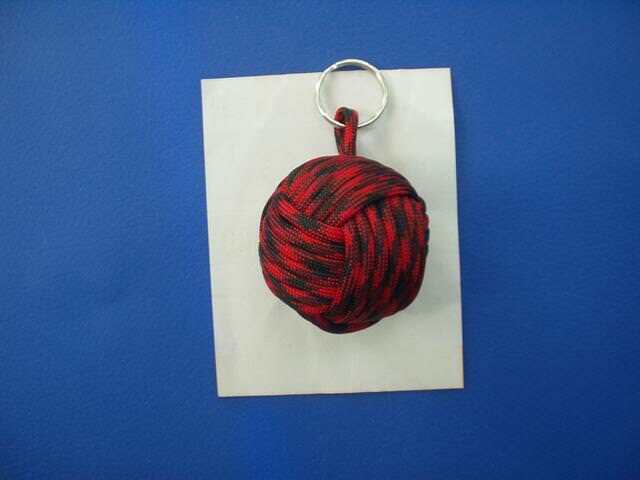 Thanks for the kind words, Because the cordage soaks up water do not overload the key ring. 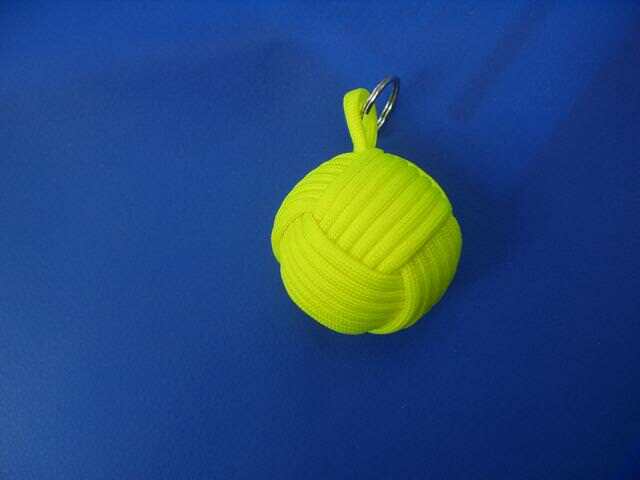 One key for the cotton, two for the paracord.